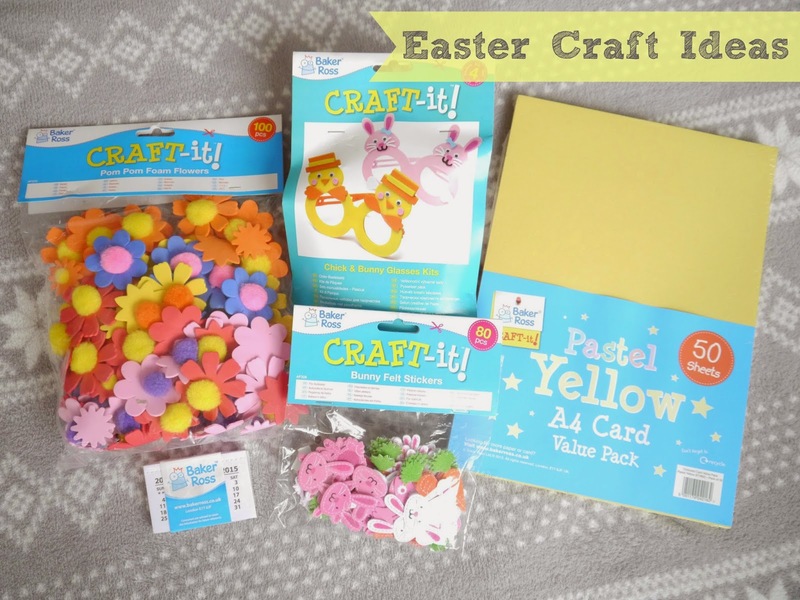 If you're looking for something to keep your kids entertained this Easter holidays then look no further than Baker Ross, they have hundreds of craft items and sets which are perfect to keep your kids quiet and happy for hours. We've been trying some out today and the kids had so much fun, it was great to see them enjoying themselves and getting creative. 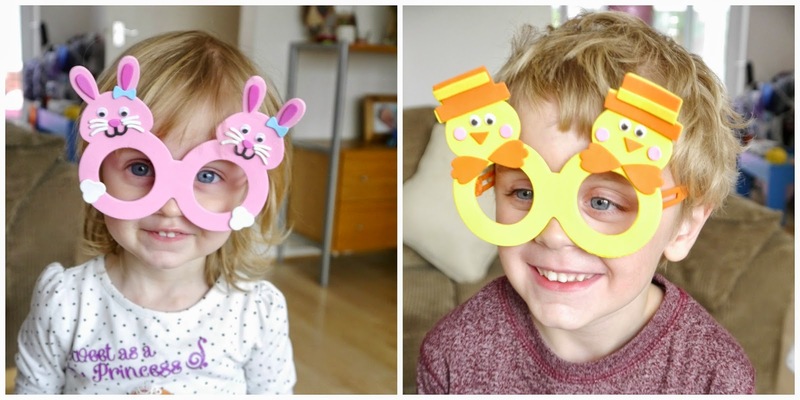 We started out by making the Chick & Bunny Foam Glasses which are currently on sale for just £1.99 for 4! In the kit you get 2 bunny frames and 2 chick frames and then all the self-adhesive foam pieces to stick on so you don't even need glue. The kids absolutely loved making these, I had to help Summer out because she's only 2 but Riley managed to do most of it on his own and I was surprised how well he did. The finished glasses look super cute and are great for Easter parties. 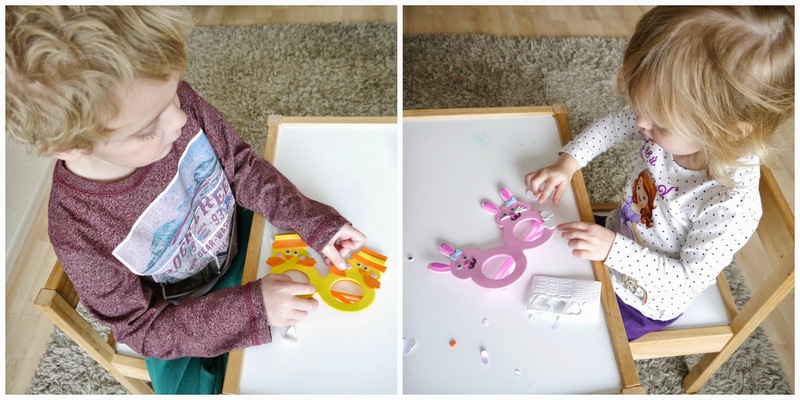 Next we made Easter calendars and cards using the Easter Bunny & Carrot Felt Stickers and the Pom Pom Foam Flowers, my kids love stickers so they really enjoyed this activity. 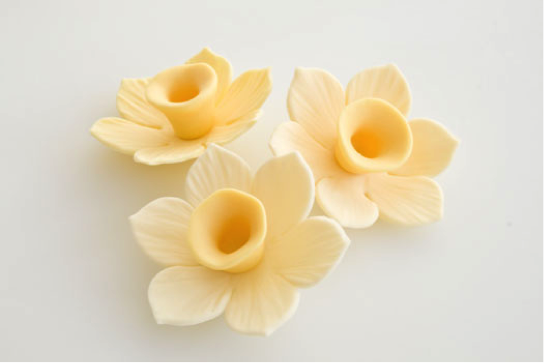 Head over to www.bakerross.co.uk for lots more fun craft activities this Easter. 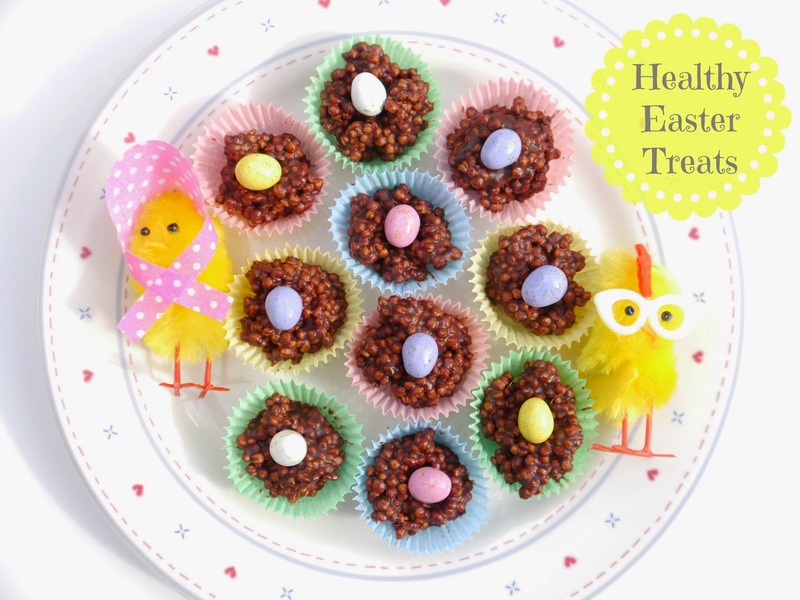 It's just a few days until Easter so I thought I'd share this recipe for some super cute and healthy crispy treats that are perfect for kids at Easter. The recipe is by Deliciously Ella and I've just added in the mini eggs on top to make them Easter themed, if you're interested in eating clean then you have to pop over to the Deliciously Ella website where you'll find loads of super healthy and very yummy recipes. 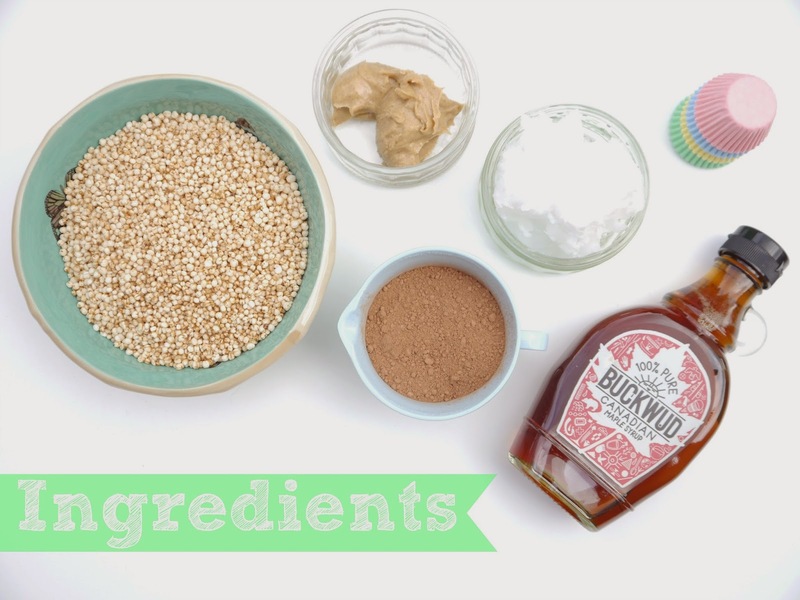 These crispy treats are really quick and easy to make all you need to do is pop the coconut oil, maple syrup, cacao powder and almond butter in a saucepan and gently heat until everything is melted and smooth. Put the quinoa puffs in a bowl and pour the melted ingredients over them then mix well until the quinoa is totally covered, I found that I could actually add a bit more quinoa at this point as there was still some chocolate mixture in the bottom of the bowl. Spoon the mixture into the mini cupcake cases and pop a mini egg on top, I used Tesco's Micro Eggs and place in the freezer for 20 minutes to set. I think they make the perfect bite sized treat for kids or for adults who are dieting or just want to eat clean. 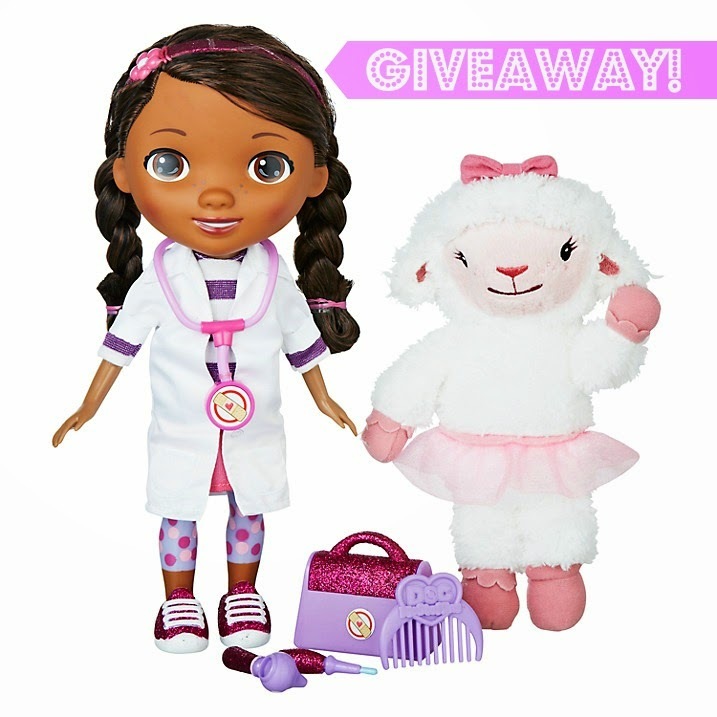 Win A Doc McStuffins Time For Your Check Up Talking Doll & Lambie! Do you have kids that love Doc McStuffins? Well if you do then this is a giveaway you're going to want to enter. I'm giving away a Doc McStuffins Time For Your Check Up Doll & Lambie worth £39.99! It's time for Lambie's check up, and who better to do it than Doc McStuffins? Press Doc's stethoscope to Lambie's chest to hear her heartbeat then make her giggle and talk when you take her temperature and check her ears. Doc McStuffin also sings the entire check up song to make Lambie feel at ease! All you have to do to enter is fill in the Rafflecopter form below, the giveaway is open to UK residents only. 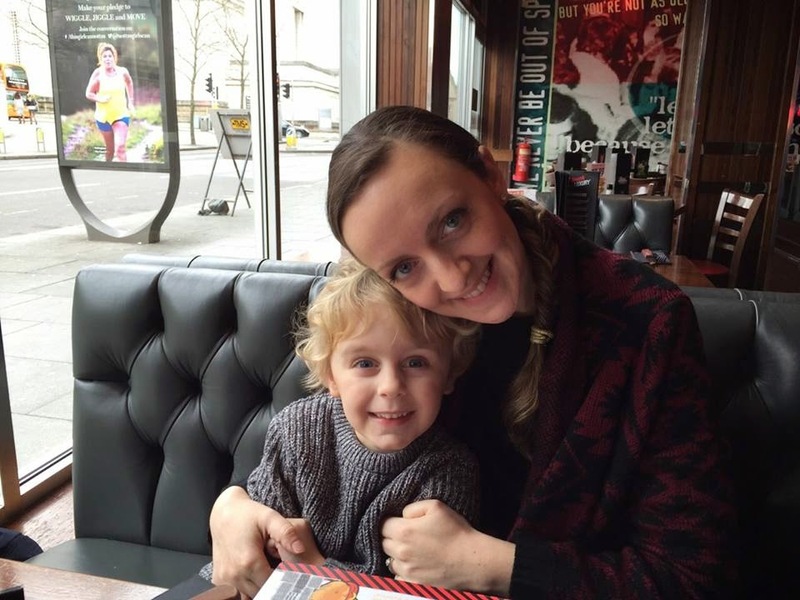 Today I'm linking up with Nicola from Life Through My Eyes new linky Mummy And Me, the idea is to take a photo of yourself with your children each month which for me hardly ever happens as I'm always the one behind the camera and link it up with her linky. My photo this month is from our trip to Bluestone in Wales which I'll be blogging about very soon, we had a lovely day out to Folly Farm one day and this was taken while the kids tried their luck at hook a duck. It's not the best photo and the kids aren't even looking at the camera but they're having fun and that's why I love it. It’s Easter! So let’s start thinking about summer! The further ahead you plan your summer holiday the better deals you will snaffle, the more prepared you will be, and the more time you can spend excited about your break. My summer holiday is the highlight of my year so I love thinking about where I am going to go next, what I will wear to the beach, and what kind of activities the kids can get involved in. If both parents work in your family and you have to think about annual leave for both of you, the more in advance you plan your holiday the better – you may have to compete with other parents who need time off during the school break. If you are thinking of visiting somewhere on the other side of the globe, you may also want to give yourself the time at the end of your holiday to get over the long haul flights. Be careful not to double book with any other events which may be happening at the time such as weddings, birthdays or christenings. An obvious one you may think, but it’s amazing how many stories I have heard from friends and family who have checked their passport only days before their holiday (or even on their way to the airport!) to find it had expired or would expire during their travels. If you are going outside of the EU you may also have to think about things like visas. Also an important piece of admin which shouldn’t be left until the last minute is the printing off of travel documents such as boarding passes. It’s amazing how difficult it is to find a printer these days! I believe more people should consider what they have ‘on their doorstep’ before booking a foreign holiday. Domestic holidays such as the ones organised by UK Breakaways allow you to explore parts of the country you were perhaps unfamiliar with. There are various sites where you can find fantastic deals on flights or accommodation or in some cases, both. Money Saving Expert has a great flight checker application whereas websites such as lastminute.com and booking.com feature some wonderful deals. Remember to shop around and check all the reviews you can. If you know people who have been away recently, ask them who they booked with and what their experience was like. This is always a fun part of a holiday – and you don’t even have to wait until you go away to enjoy it! Whether you’re going skiing or intend on going no further than poolside for two weeks, you will need to make sure you look good. Swimwear, sunglasses, a hat – start planning your holiday wardrobe immediately! As well as the fun stuff, you should also make sure you are well stocked for things such as medications you and your family need, sun lotion and tea bags (if, like me, you are fussy about that type of thing!). The less running around before you go away, the more relaxed you will be once you arrive off the plane. We're always looking for ways to be more energy efficient and also save money on our energy bills and there are many different ways of doing this that don't always involve spending a lot of money. Just making a few simple changes can result in some big savings on your monthly bills and you'll also be doing your bit to help the environment which is always a good thing. Install under floor heating, wall radiators can be ugly and under floor heating is much more energy efficient, it's particularly suited to bathrooms but also works really well in kitchens. Buy furniture that is made from recycled materials or upcycle your old furniture, this will give you unique pieces and also save you some money at the same time. I love the idea of taking an ugly, unwanted piece of furniture and making it in to a beautiful contemporary piece, sometimes all it takes is giving it a lick of paint and maybe new handles. Invest in solar panels, this can be expensive initially but in the long term will save you a lot of money. Another option is to have them on a tariff scheme where you can sell unused energy on to the National Grid. Change your single glazed windows to double glazed or even triple glazed, this will save on energy bills by keeping your house well insulated. Also choose wood framed windows instead of UPVC or metal as they are easier to repair, more insulating, last longer and are less polluting than UPVC. Buy an eco-kettle, most kettles use a ridiculous amount of energy and most people boil too much water at a time, eco-kettles are much more energy efficient especially for those of us that have multiple cups of tea/coffee throughout the day. 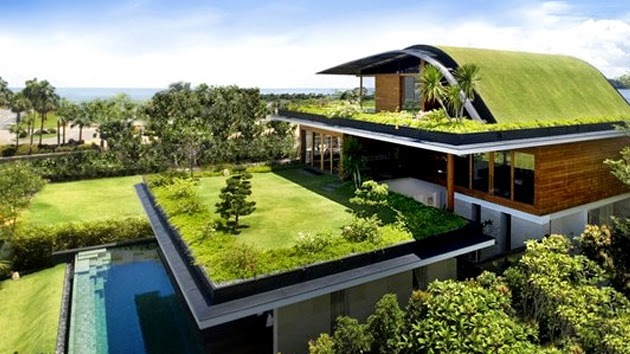 If you would like to find out more helpful tips on making your home eco-friendly then head over to www.bettaliving.co.uk. It may seem a little much to be teaching young children about money and it's value but I think it's important to make them aware of certain things at a young age and hopefully they'll avoid getting in to difficult financial situations as adults. 1. Subtly integrate it into your child’s life. You don’t have to have a big ‘money chat’ to bring up the idea of good money management. When you go shopping for example, encourage your child to make a choice between two items so they understand they can’t ‘have it all’ or explain to them that whilst two products are very similar, one is cheaper and it can be sensible to go for that one. 2. It’s never too young to start. 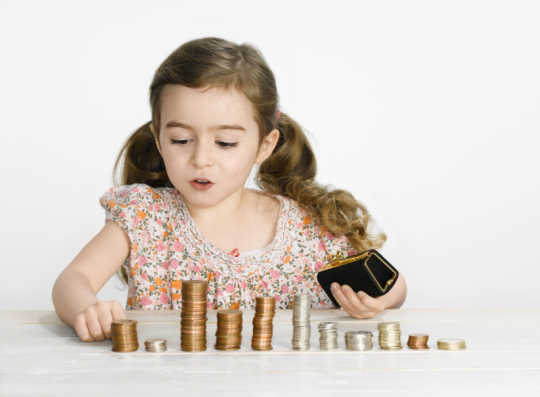 My own experience backs up the Money Advice Service’s academic study which shows that money habits begin to be developed prior to the age of seven. Children shouldn’t have to worry about family finances, but you can help them understand money without doing this. 3. Be confident. This is your opportunity to help your children develop positive, beneficial habits. 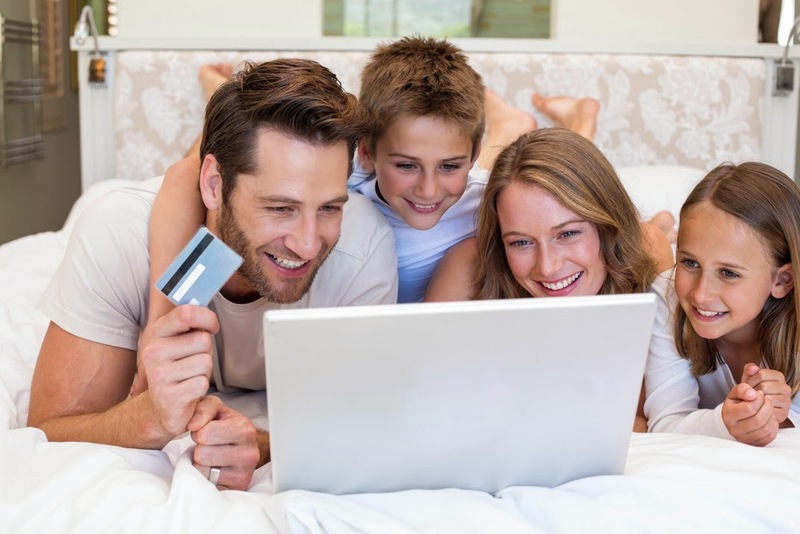 Even if you aren’t the best at money management, you will still have lots you can pass on to your children. 4. Have a go. Money is a very practical subject and children can be very hands on learners. Find ways for your children to handle and use money whenever possible and having pocket money can be a great way of doing this. In younger children, role play can be used – for example playing ‘shop’ using pretend money. 5. It’s ok to make a few mistakes; it’s how we all learn, and that applies to money as well. It’s far better for children to be making mistakes with little or no consequences than them facing bigger money issues when they are older which could have a bigger impact. 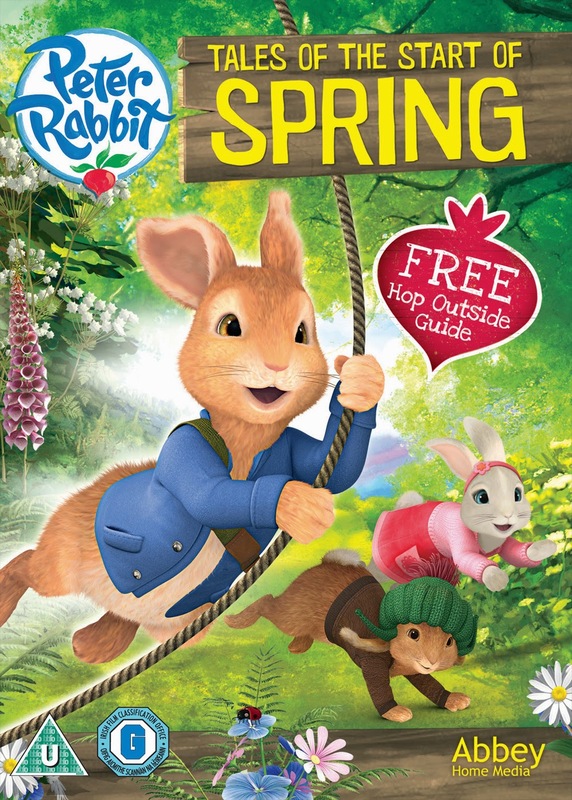 Win A Peter Rabbit Tales Of The Start Of Spring DVD! It's not long until Easter and what better way to celebrate than the chance to win a Peter Rabbit DVD to give to your kids along with their Easter eggs. Episodes include The Tale of the Start of Spring, The Tale of the Secret Treehouse, The Tale of the Radish Robbers, The Tale of Benjamin s New Map, The Tale of the Peekaboo Rabbits, The Tale of the Terrible Trap, The Tale of the Broken Bed and The Tale of the Dash in the Dark. To be in with a chance of winning this fab prize all you need to do is fill in the Rafflecopter form below. My son Riley loves Scooby Doo and I think it's so great that something that I used to enjoy watching as a child is still going strong for my children decades later. We were recently asked to review the Scooby Doo Mystery Mansion Playset and Riley was more excited about it arriving than any other toy we've reviewed, I knew this was going to right up his street. 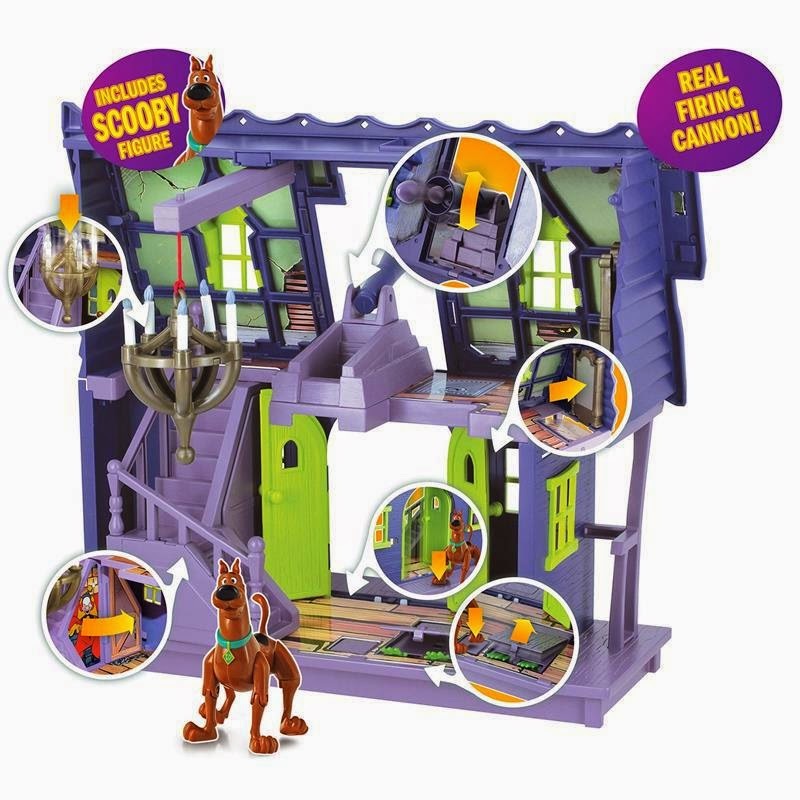 The playset comes with a Scooby Doo figure and is filled with lots of fun booby traps including a trap door, monsters under the stairs and a real firing cannon which Riley loves. Riley has literally played with this non stop for the last week and we're thinking about buying him the rest of the characters to play with as well because he loves it so much. Because the Mystery Mansion is filled with secrets that Riley keeps on discovering it's not getting boring for him, every time he plays with it he discovers something else that you can do with it. It's aimed at children aged 3+ and has fast become one of Riley's all time favourite toys so if your little ones like Scooby Doo then I can't recommend this enough. It's available to buy from www.character-online.com and also Smyths Toys. Yesterday my youngest baby turned 2 years old and it's been a bit of a roller coaster of emotions for me, on the one hand it's great to see her growing and becoming such a funny and mischievous little character but on the other hand she's not a baby anymore, I now officially have 2 young children and no babies and that makes me feel a bit sad. Summer starts preschool in a couple of weeks, just for 2 mornings a week but it's the beginning of her school life and I'm looking forward to it and dreading it all at the same time. I can't wait to have 2 whole mornings a week to myself, it's amazing how much I can get done in a few hours when I have no kids to look after but I'm not looking forward to handing over a very clingy, screaming toddler to someone while I run out of the door fighting back the tears myself, I did it with my son and it was tough so I know what I'm in for but I also know it's for the best for both of us. The older the kids get, the more independent they get and the more I want them to go back to being babies again. Riley turns 5 this year which he's very excited about, he talks about it all the time and the last time he mentioned it I said "don't grow up too quickly though will you" and he replied with something that brought a tear to my eye, he said "don't worry Mum, when I'm 5 I'll still be your baby, when I'm 6 I'll still be your baby, when I'm 7 I'll still be your baby, I'll always be your baby" and he's right they'll always be my babies no matter how old they are. One of my all time favourite sweet treats are gooey chocolate brownies and I recently got the chance to review some of the best brownies I've ever tasted from the online store Love Brownies. All of the brownies are made to order by the Love Brownie founder Chantal and delivered straight away so that when they reach you they're still nice and fresh. Each brownie is individually baked so that it has crisp, crumbly edges and a rich, gooey centre, just the way I like my brownies. 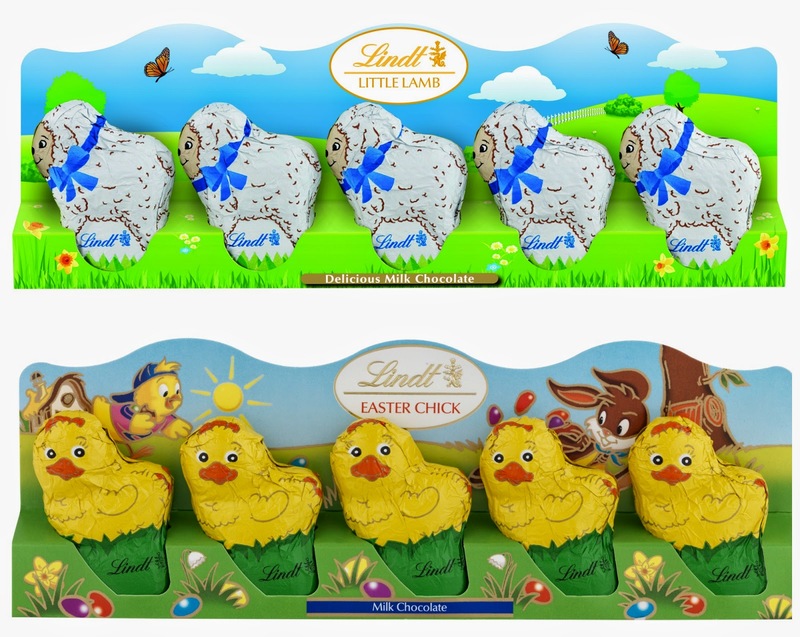 They're made using only the best quality, local and organic ingredients and always use Fairtrade cocoa. Chantal offers a range of brownie flavours and I got to try the Caramel Fudge flavour which was absolutely delicious and like I said earlier probably the best brownies I've ever tasted in my life which is saying something as I've eaten a lot of brownies. If you have to have gluten free then don't worry because you're catered for too and their gluten free brownies are award winning so they must be good. To get your hands on some of these amazing yummy treats just pop over to www.lovebrownies.co.uk and place an order, they also make lovely gifts for special occasions or if you just fancy treating someone. You can also find Love Brownies on Twitter and Facebook. 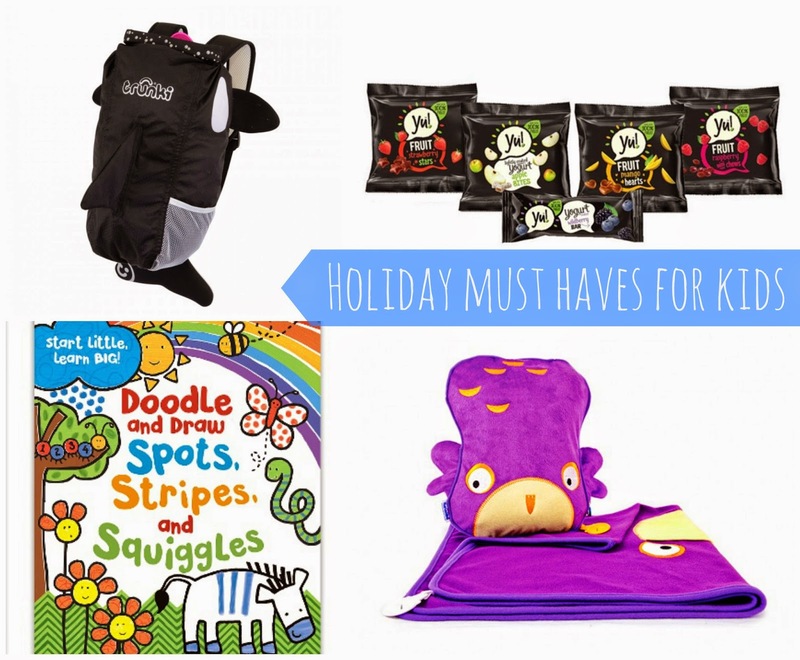 We are super excited because next week we are setting off on our holidays to Bluestone in Wales and as I'm currently making a list of things we need to pack I thought I'd write a quick post on my top 4 essential items to pack for the kids when we're off on holiday. Like most holiday parks Bluestone has a water park so something we'll most definately be taking for both of the kids are the amazing Trunki PaddlePaks, they're water resistant kids backpacks that are perfect for carrying the kids swimming gear or holding everything they need for a day out at the beach. The PaddlePaks have high visibility reflective trim, Trunki storage grips, adjustable straps and a padded mesh back so they're super comfortable for kids to carry. They come in two sizes, 2yrs+ and 5yrs+ and are available in a wide range of different aquatic designs, Riley has Kaito The Killer Whale and Summer has Pinch The Lobster. Snacks are essential especially on long car journeys which is what we'll have when we head over to Wales, I like to give the kids healthy snacks and their favourites at the moment are the Yu! fruit snacks as they're just like jelly sweets but contain no added sugar and are 100% real fruit, the kids love them and so do we so we'll definately be taking lots of them on our holiday. We're not sure what the weather is going to be like while we're away yet but you need to be prepared for rainy days so we'll be taking some activity/colouring books and crayons. One of the books we'll be taking is Doodle, Spots, Stripes and Squiggles, this book encourages your children to finish the patterns, squiggles and shapes to help them exercise their artistic abilities. Another essential item for the long car journey are the SnooziHedz by Trunki, Summer will no doubt be falling asleep in the car on the way to Wales and car seats aren't always as comfortable as you'd like them to be so the SnooziHedz are great. They come in a range of super cute designs and the character unzips to reveal an inflatable pillow and cosy fleece blanket which attach together with the Trunki grip which stops the blanket from sliding off which will also be really useful when Summer naps in the pushchair. If you like the look of the Trunki PaddlePak and SnooziHedz then keep your eyes peeled as I've got an exciting giveaway coming in the next few days. 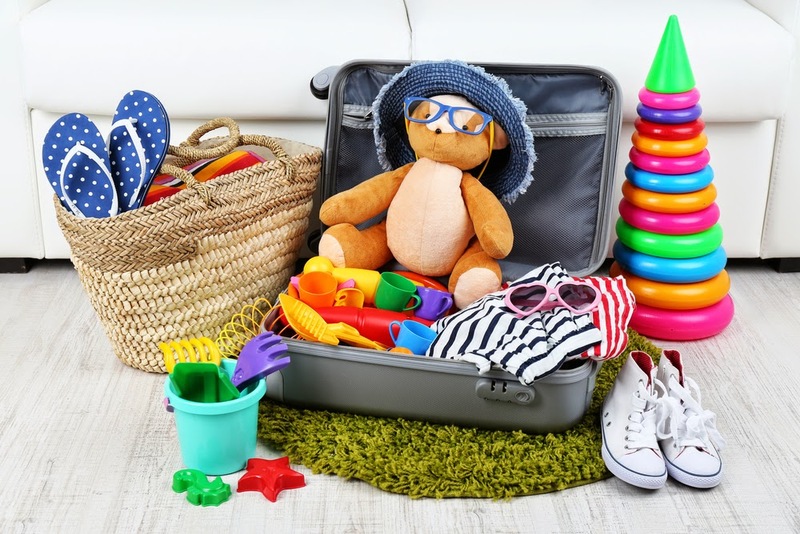 What item can you not live without when holidaying with kids? I'm very excited to announce that I'm going to be working with magazine.co.uk, this will include contributing to their blog and also reviewing magazines which sounds like heaven to me as I love a good magazine. Magazine.co.uk are the UK's leading magazine subscriptions website and offer great deals on your favourite magazines, fantastic discounts and free delivery on every order. 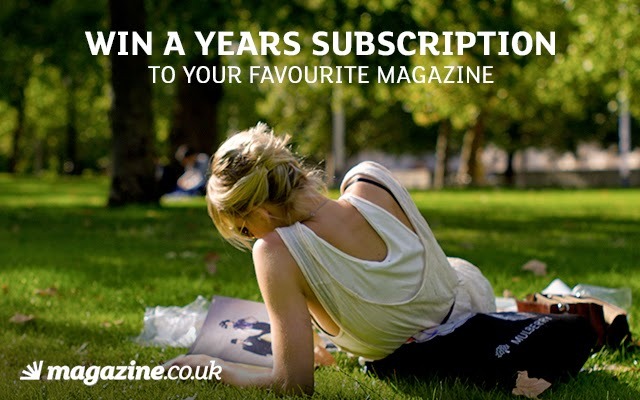 To celebrate our partnership magazine.co.uk have been kind enough to offer one of my lucky readers the chance to win a 12 month subscription to a magazine of your choice, all you have to do to enter is fill in the Rafflecopter form below. Good luck to everyone who enters and remember to look out for more posts featuring magazine.co.uk in the future. 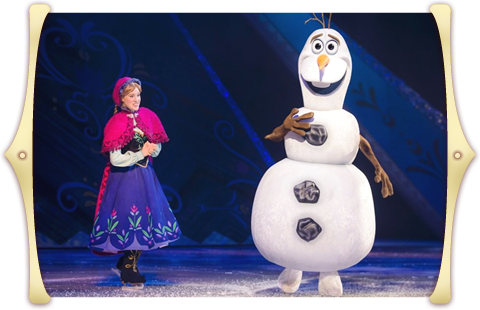 I love anything to do with Disney and so do my kids, anything associated with the word Disney is always magical and amazing and Disney On Ice is no exception. 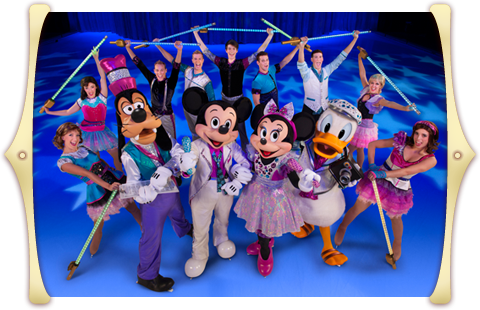 I've been to see a Disney On Ice show before and loved every minute of it so I was really excited when I saw that the new show Magical Ice Festival was coming to Nottingham. 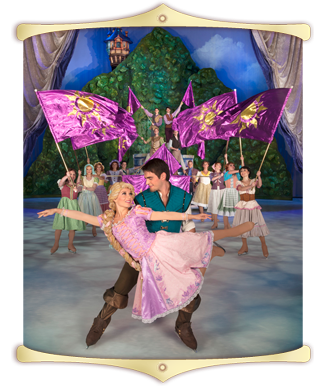 This show features Disney's number one animated feature film of all time Frozen and you'll get to see Anna, Elsa, Olaf, Kristoff and Sven telling the unforgettable story. 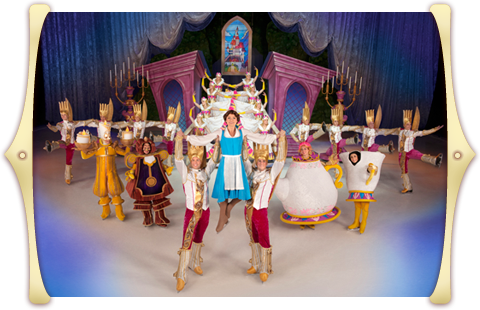 Magical Ice Festival also features old favourites like Beauty & The Beast, The Little Mermaid and Tangled. To find out more information about shows in your area and book tickets click here. 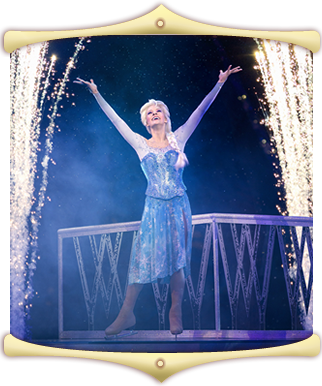 We can't wait to take the kids to go and see it, it's going to be Summer's first time seeing a show and I just know she's going to love it. 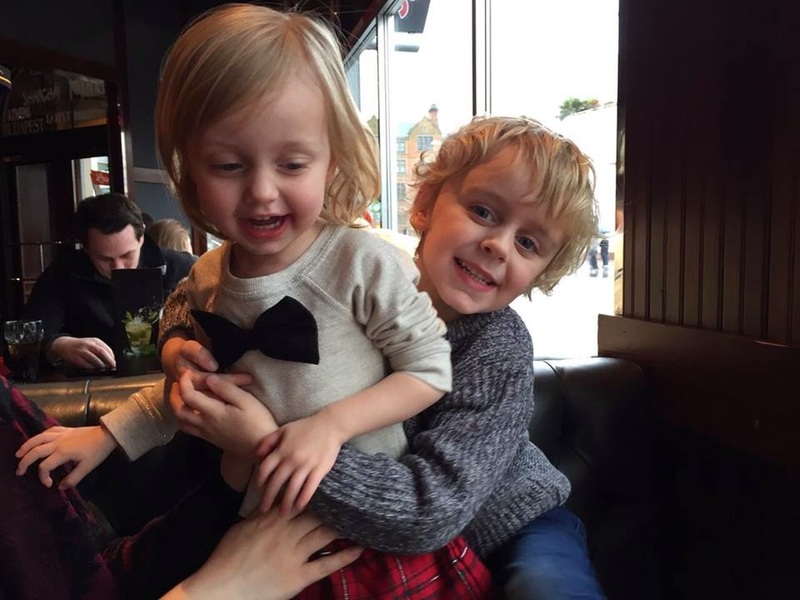 It's Mother's Day on the 15th March but we won't really be able to celebrate it on that day as it's also Summer's 2nd birthday and we're having a party so we thought that we'd celebrate the weekend before and have a lovely family meal out at one of our favourite restaurants T.G.I. Friday's. 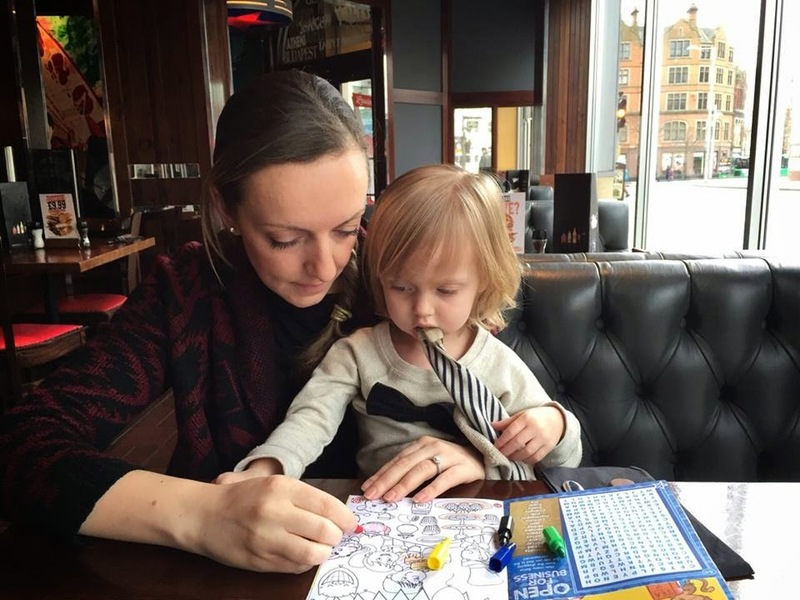 We love it there because the atmosphere is always really laid back, we feel comfortable taking the kids there as they have a great kids menu and lots of high chairs and we absolutely love the food. We were seated in a nice big booth and our waitress was really helpful when she took our order, she asked if we wanted the children's food bringing out as soon as it was ready or if we wanted it all together, I thought this was brilliant as one of the worst things about eating out with kids is keeping them occupied while you're waiting for the food to arrive. I asked her to bring their food out as soon as it was ready and she then gave the kids some activity bags filled with a puzzle book and crayons to keep them entertained which they loved. The kids had Chicken Tenders which come with either fries or potato waffles and a side of vegetable sticks, they both ate every bit of their food which doesn't happen very often and they really enjoyed it. I think the kids meals are great for just £3.49 each and there's a good variety to choose from. I ordered the Jack Daniel's Chicken & Shrimp which is the same thing I order every time I come to T.G.I. Friday's and I never order the same thing all the time at any other restaurant but I just love this meal so much I can't not have it. 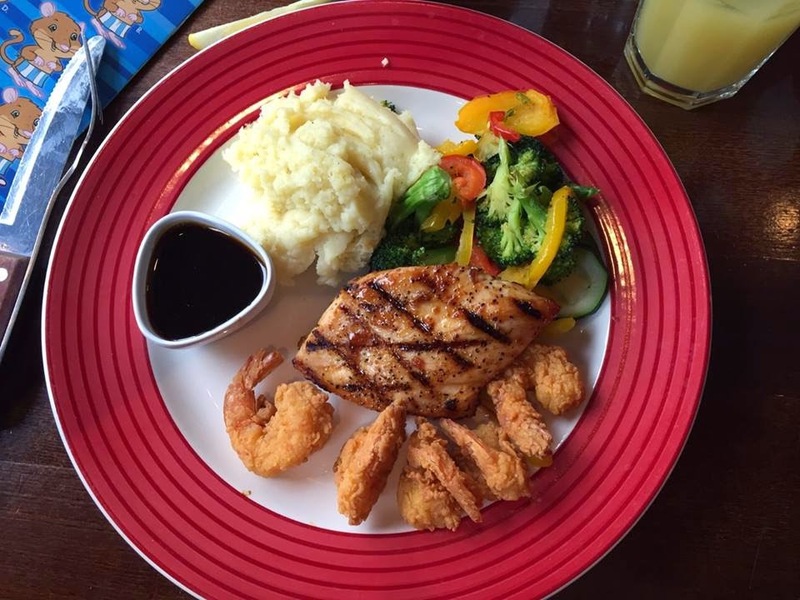 You get a chargrilled chicken breast coated in a Jack Daniel's glaze with Cajun battered shrimp, creamy mash and seasonal veg and it's absolutely delicious. 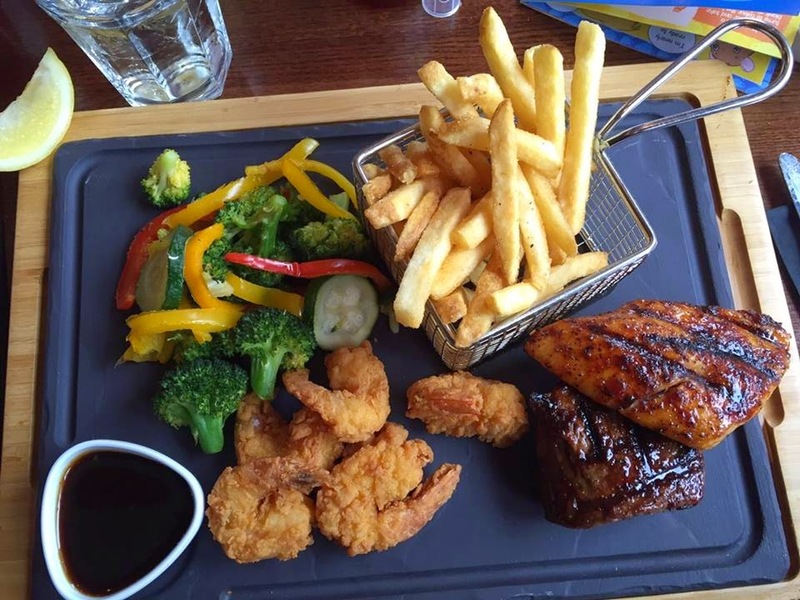 My husband chose the Steak, Chicken and Shrimp which also looked really good, it was basically the same as I had with the addition of a 6oz rump steak and fries instead of mash. He thoroughly enjoyed his meal too and said he would definately order it again and he loved how it was presented. We were pretty full after our main meals but we can never resist ordering desserts, we placed our order and they took a little while to come out which honestly wasn't a problem for us as we were happy to have a little break and let our food go down. The waitress was really good and came over to apologise for the delay with our desserts and assured us that they would be with us shortly which they were and they were so yummy. 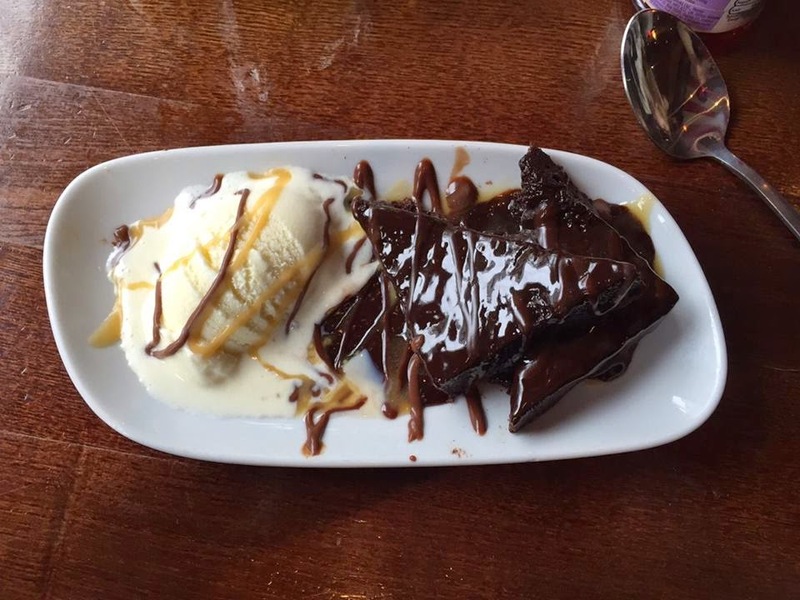 I chose the Brownie Obsession which was out of this world and a must for all you brownie lovers out there. 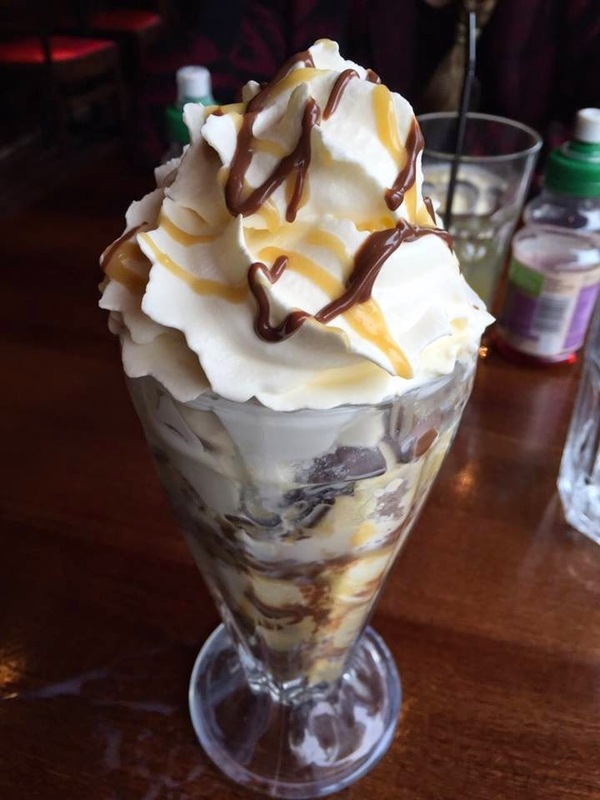 Ian went for the Rocky Road Sundae which was filled with chunks of buttery shortcake, soft mini marshmallows and chocolate curls between layers of dairy ice cream, caramel and chocolate sauce and topped with whipped cream. 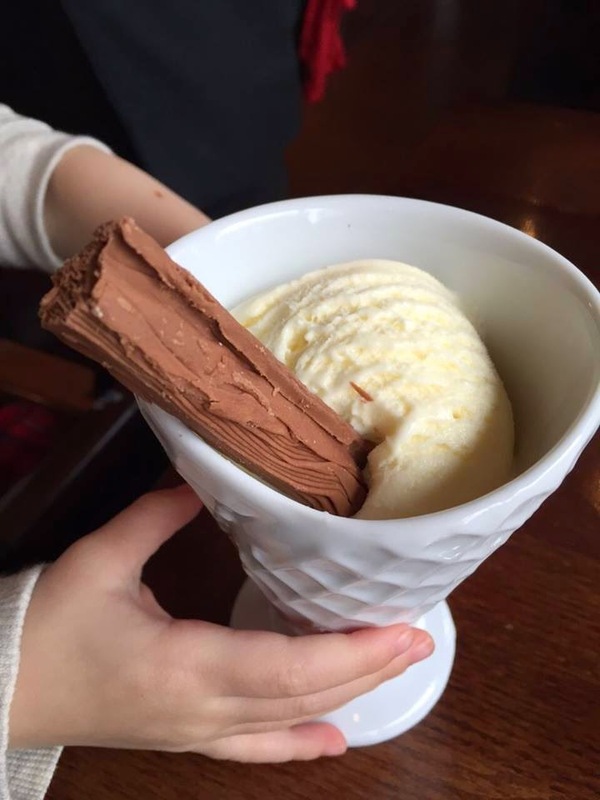 The kids both had a 99 sundae without the sauce as neither of them like sauce and they loved them especially the flake. Overall we had a lovely experience as always at T.G.I. 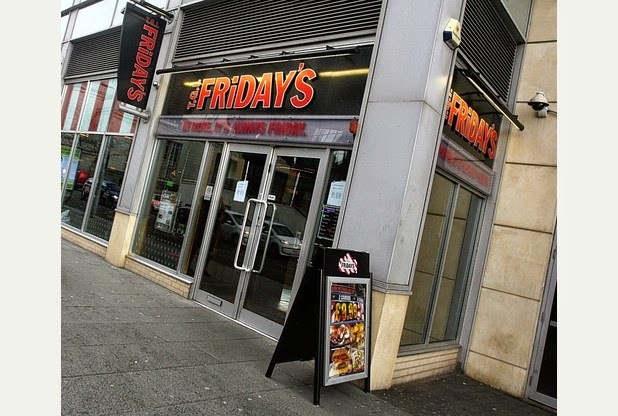 Friday's the food was great, the service was fab and we were even refunded for all of our desserts because they took longer than usual to arrive which was a pleasant surprise as we didn't complain about it. If I had to say one negative thing about our experience that day it would have been that the music was a little too loud, me and my husband were having to really raise our voices to be able to hear each other across the table, it didn't bother me enough that I had to ask for it to be turned down but I think it's something they should bear in mind when people are wanting to chat whilst they eat. If you're looking for somewhere comfortable to eat and take kids and you like American style foods then I can't recommend T.G.I. Friday's enough, you can check where your nearest one is here.